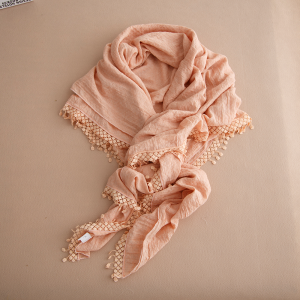 FEATURES Cotton and linen have only one pure color, no extra decoration, and it is neat. 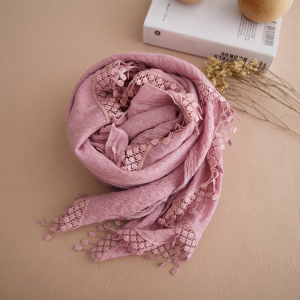 Although the cotton and linen scarves are not as elegant and elegant as silk scarves, but they have a quiet and comfortable beauty, revealing a gentle gentleness in Yu Jing, even if the appearance is outstanding, there will be no aggressive momentum of silk scarves. 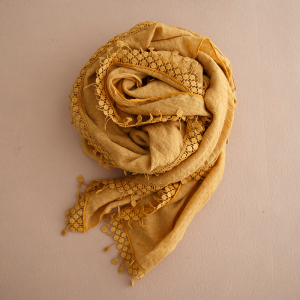 Cotton and linen scarves can give people a sense of affinity, and they can bring people closer together. 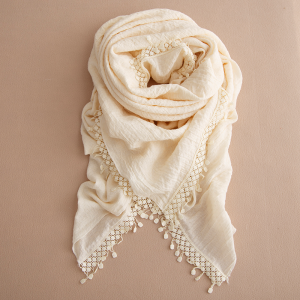 This cotton and linen scarf has a circle of lace around it, adding a sense of exquisiteness.